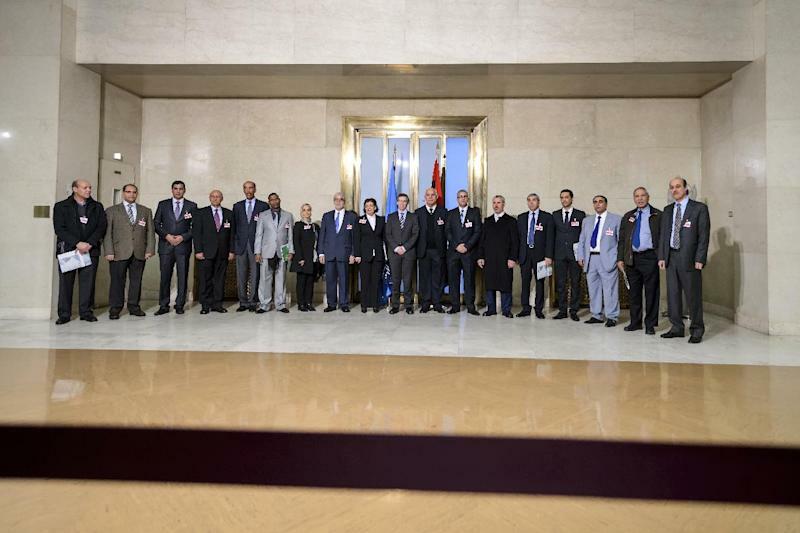 Geneva (AFP) - A new round of peace talks between Libya's warring factions kicked off in Geneva Monday with all parties showing a "constructive spirit", the United Nations said. "I am confident that Libyans participating and those who hopefully will join the talks have a very clear determination to reach an agreement, to pacify the country and to overcome the crisis," said Bernadino Leon, the UN envoy for Libya and mediator in the talks. "There is a very constructive spirit. There are very good ideas on the table," he said in a statement after Monday's talks, adding "everything is positive." During a first round of UN-mediated discussions in the Swiss city earlier this month, the warring factions from the strife-torn country agreed on a roadmap to form a unity government. Leon warned ahead of the first round of talks that they were a last-ditch effort to prevent all-out chaos, and that the country was rapidly becoming a hotbed of Islamist insurgents. He said Monday that he was satisfied with the progress so far. "It's an excellent atmosphere. What is important is to build trust," he said, adding: "All these steps we are taking are sound steps." The second round of talks, which will continue on Tuesday, counted participants from a range of groups and representatives of civil society. But the Islamist-backed Fajr Libya (Libya Dawn) militia alliance, which took over Tripoli last summer, was not officially taking part. Ahead of the talks, the UN's Libya mission UNSMIL appealed to all sides "to approach these talks... in a spirit of openness and reconciliation that is guided by the higher national interest of the Libyan people." In addition to the main political track resuming Monday, the UN said another meeting would be taking place in Geneva on Wednesday bringing together municipal and local council representatives from cities and towns across Libya to discuss "confidence building measures and ways to implement them." "These will include representatives from Libyan political parties, social and tribal forces, as well as the armed groups," it said in a statement. The internationally-recognised government and elected parliament decamped last summer to the country's far east after Fajr Libya seized Tripoli and set up its own administration. The first round of talks appear to have done little to calm the situation on the ground. Libyan Deputy Foreign Minister Hassan al-Saghir was kidnapped Sunday by gunmen posing as security forces in the eastern city of Al-Baida, where the recognised government is based. He was released Monday and was in good condition, a ministry official said, without providing further details.